Home Smartphones [SALE ALERT] Cherry Mobile Flare Lite now only Php1,999 from March 30-31, 2015! 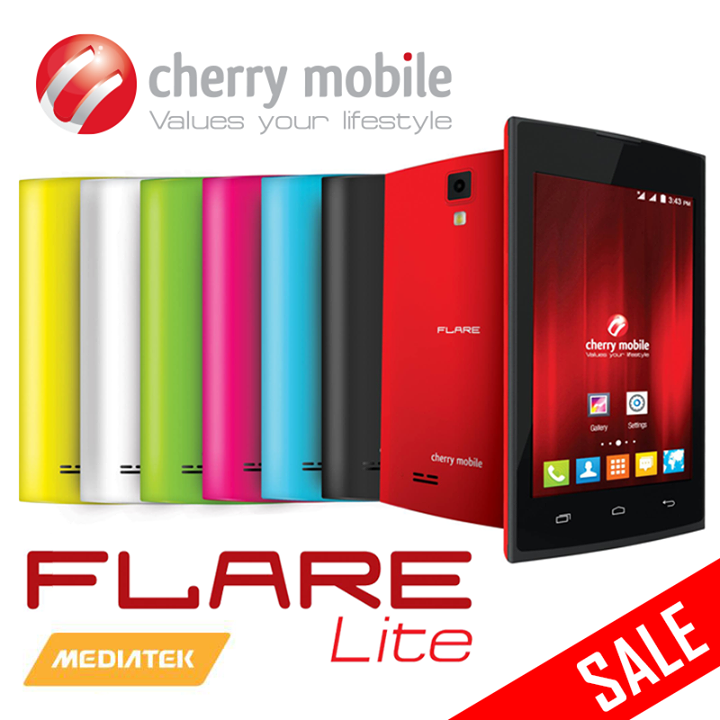 [SALE ALERT] Cherry Mobile Flare Lite now only Php1,999 from March 30-31, 2015! Cherry Mobile has just announced on its Facebook page that its most affordable member of their best-selling Flare series, the Flare Lite, will be discounted for only Php1,999 (from Php2,699) this coming March 30 – 31. It will be also available in selected Cherry Mobile stores and kiosks nationwide. The Cherry Mobile Flare Lite features a 4-inch WVGA display, 1GHz dual-core MediaTek MT6572 processor with 512MB of RAM, 4GB of internal storage (expandable up to 64GB via microSD), 5MP rear camera paired with an 2MP front camera. It also supports 3G/HSPA+ connectivity, Bluetooth 4.0, WiFi, GPS with A-GPS and a removable 1,300mAh battery. Can't wait for them to release the price, I've been searching for this at goods.ph it's an online shopping website and I found out na wala pa silang ganitong product ng kata kasi kaka release lang. Hopefully they will ad this sick phone to their product list. Help... I HAVE 2 SAME broken Lcd of kata t_mini. . San po pede mkabili LCD.. Tenkz. !